'Linnhe' is on the lower ground floor of the main house with windows to the west. 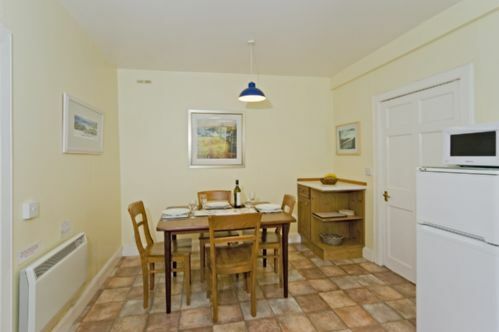 Great location, within 30 minutes of Oban and Glencoe. The gardens were fun to explore and we wish we'd had more time to use the ping-pong table, tree-house with slide, and kids' toys.There were plenty of games and books available. If you are looking for a rustic family lodging, this is a perfect choice. In Linnhe, the wi-fi did not work for us but fortunately, we had already planned out our itinerary for the week so this wasn't a huge inconvenience. I personally appreciated the fact that our evenings were device-free. 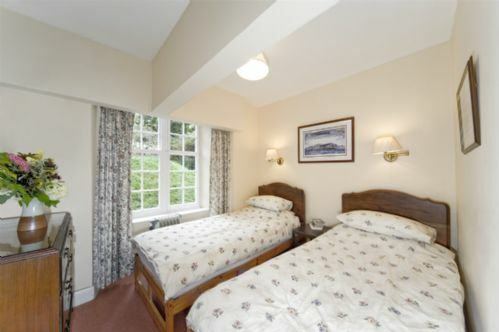 Comfortable accommodation in a beautiful area. I stayed in Linnhe apartment from Monday May 29th to Friday June 2nd with my brother and my adult daughter. After booking the trip my daughter dislocated a joint and needed crutches but managed the 16 steps down to the basement apartment and the large walk-in shower and overall spacious apartment worked really well for her and us. The apartment is warm and has all the equipment needed for a great break and the laundry next door was a bonus. 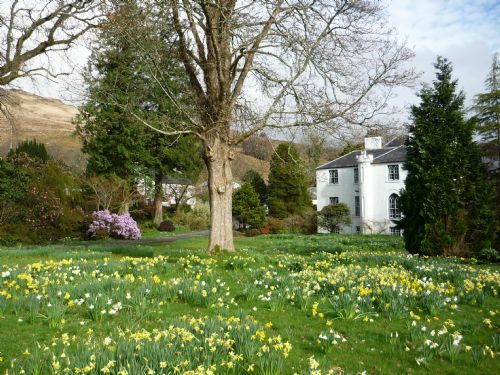 Set right next door to an impressive garden centre within an 18th century octagonal walled garden, there are lots of opportunities for rest and relaxation and plenty of walks to see the amazing views of mountains,the coast and the islands. Easily accessible are Fort William, Glencoe, Oban, Cruachan Hydro-electric power station, Glenfinnan Memorial and viaduct to view the Jacobite steam train and Neptune's Staircase on the Caledonian Canal. If it should rain (!) there are plenty of books and games to keep everyone entertained. 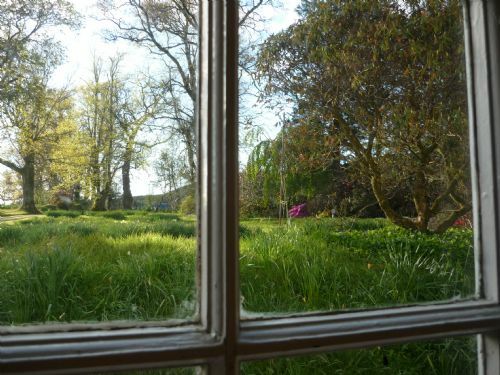 There is an added 'eco' bonus which is not found in many self-catering accommodation- with bins and degradable sacks for all types of rubbish and even a composting bin for vege peelings etc which can be used in the garden centre and opportunity to leave used batteries and glass for recycling too. 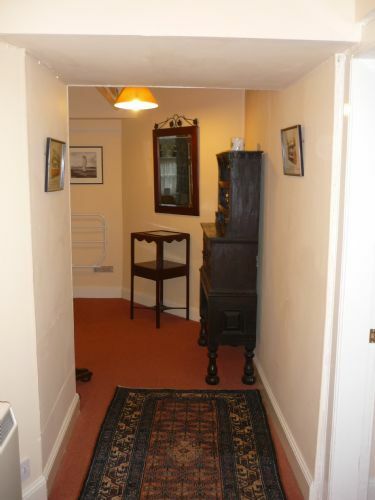 An all round excellent apartment which I felt was great value for money and hope to return soon. It was a bit musty smelling and the beds were just so/so in comfort. Also, there were quite a few dead bugs all around the house and mosquitos inside. But, we did have a nice meal and were able to use the kitchen. It was pretty far away from everything (it was 20 minutes to the closest version of a grocery store we could find). I'm sorry you didn't find the apartment as comfortable as you hoped. It sounds like you met the famous Scottish midges (we don't get mosquitoes) which arrived in force with the hot weather after the rain. Our local community shop is at Port Appin, 10 minutes away, but it is further to late opening shops. Excellent accommodation for two couples travelling together by car. The property was very comfortable and the kitchen was exceedingly well stocked with pots/pans/utensils etc. The satellite TV was an unexpected bonus. 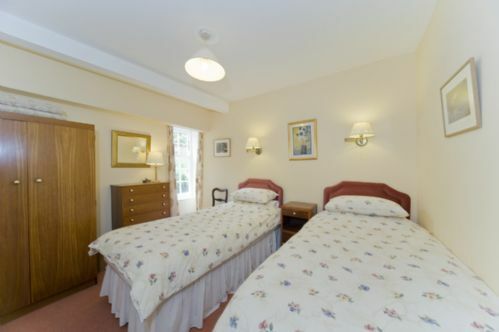 Beds very good and bath very roomy and well fitted. The laundry area was also much appreciated. The property was a bit more remote than we had thought. Didn't realize we were not within walking distance of a village. Nearest pub two miles away but we had a car (driver couldn't, of course, drink). Good overall location for visiting many local points of interest. Had not realized the ground floor apartment was accessible only by a flight of stairs. We managed but others might not. A fabby week over new year. Very family friendly accommodation and location. We have stayed at this venue before (Laich cottage) and had a fab time. It was unavailable this time so decided to try one of the apartments which is part of the main house. It was more spacious and just as well laid out. 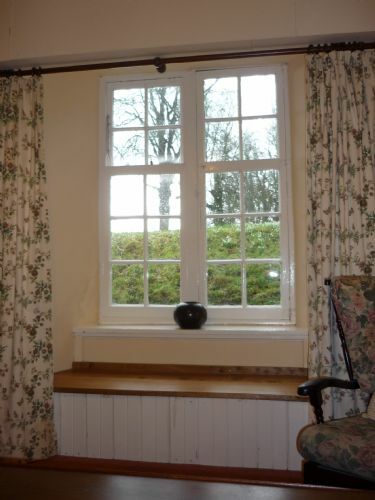 The owners are unobtrusive but very friendly and available when needed. we love this area, venue and will definitely return in the future. Two-night stay in Linnhe during October break, with two children aged 7 and 5. The apartment was warm and full of usual home comforts, in the most wonderful location. We were blessed with cloudless skies and took advantage of the weather by following the owner's suggestions and undertaking numerous short walks in the surrounding countryside. We even managed to use the hard tennis court whilst the kids enjoyed the adjacent treehouse and makeshift slide. We really enjoyed our holiday at Linnhe. The best thing was the outdoors space; the children loved playing at the swing and the tree house/slide. There was plenty to do in the area without having to venture too far. The owners were friendly and helpful. Before arriving I'd been a bit nervous about the flat being at lower ground level but actually it wasn't an issue - it didn't feel subterranean! We would definitely return. This is our 3rd visit to Kinlochlaich and again we had an excellent stay in our apartment.The new bathroom is great with plenty of hot water and an efficient shower. A friendly and comfortable base from which to explore this beautiful area. The apartment was well prepared for our arrival,clean,welcoming and warm (it was snowing at the time!). 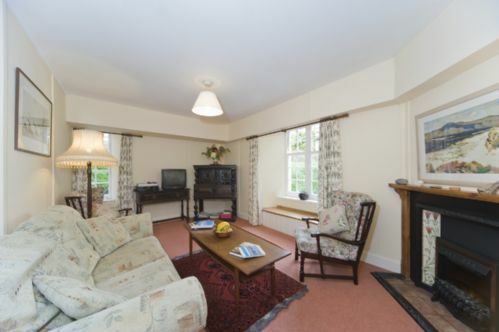 Well equipped kitchen and comfortable sitting room were complemented by small but comfy bedrooms. We found this was an excellent base for our week working on our boat at nearby Balcardine. The Creagan Inn was a good pub close by for a drink on the way "home" and also served very good food. We much enjoyed our stay and will try and return for a more relaxed visit! Linnhe was clean, comfortable and had everything we needed for a short stay and indeed for a longer holiday. The location is handy for access to Oban and further south and Fort William and further North. Various Hebridean Islands are accessible from Oban, and Lismore from Port Appin. 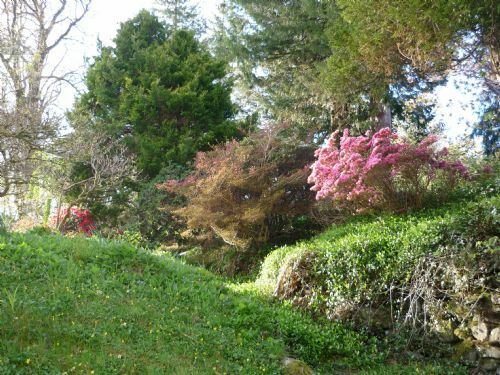 From Kinlochaich House itself, you can walk around the garden centre or into the hills where you may be lucky and see Golden Eagles (as we did) or Sea Eagles which are nesting in the hills above. One downside is that Linnhe was a basement apartment with a number of steps down, and might not be ideal for young children or elderly. The online photographs were a lot more flattering than actual. It is a superb location but the Linnhe apartment was poorly finished with odd mismatch of furniture. Kitchen was very well stocked and it was spotlessly clean throughout. If stay had been for a week I would have been disappointed that no dishwasher! 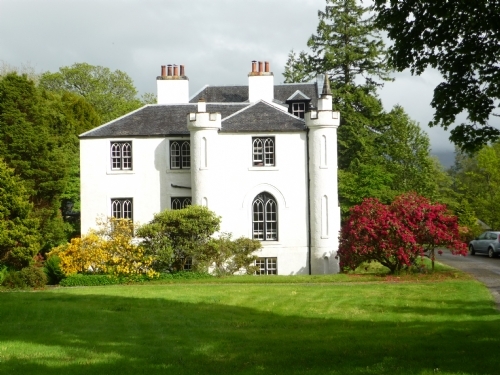 Kinlochlaich House is a beautiful house in a lovely setting. We very much enjoyed strolling through the garden admiring the plants. We were given a great little tour of some of the old plants by Catherine, one of the gardeners. Hostess Susie is warm and friendly. We purchased some vegetables from their garden; it was the best kale I have ever eaten! Linnhe is very cozy, the sitting room comfortable with a nice electric fireplace. We enjoyed our evenings there. 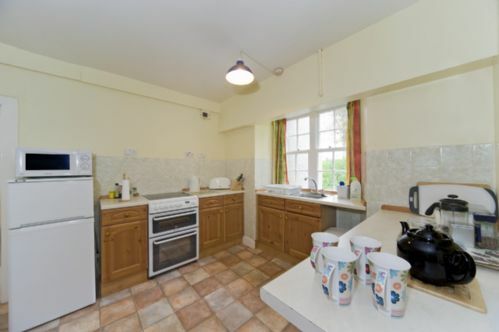 It has a well stocked kitchen making it easy to prepare our own meals. The laundry facilities are just outside side the door from this apartment which was very convenient. Wi/fi is also available here. We had a lovely time in Appin and hating leaving our temporary home. I would certainly stay here again. Beautiful site and garden, welcoming tenants, cosy flat "Linnhe". Fine location to go either to Oban and the isles, or to the mountains. It was a lovely apartment, spacious and very clean. Very well equipped kitchen. Furniture a bit dated but in keeping with the property. Suzi the owner very helpful. Ideally suited for Oban in the south and the highland sites in the north. Away form the crowds yet not too far. Would definitely recommend it to anyone. 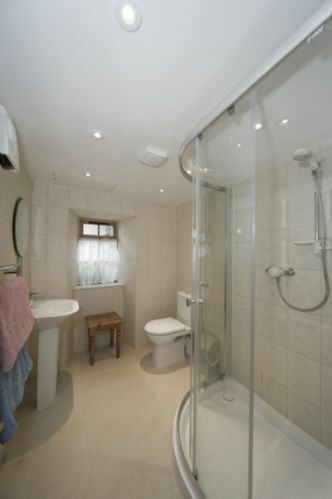 New shower room was a big improvement. Excellent location to enjoy exploring the area.